A pretty chilled outfit from today, featuring my new '60s space cadet thigh high boots, which are fabulous, and my Mum's 'authentic' cowboy shirt, which is also fabulous. I've been listening to my Blondie vinyl a lot lately, so I'm kind of just channeling Debbie Harry whenever possible. 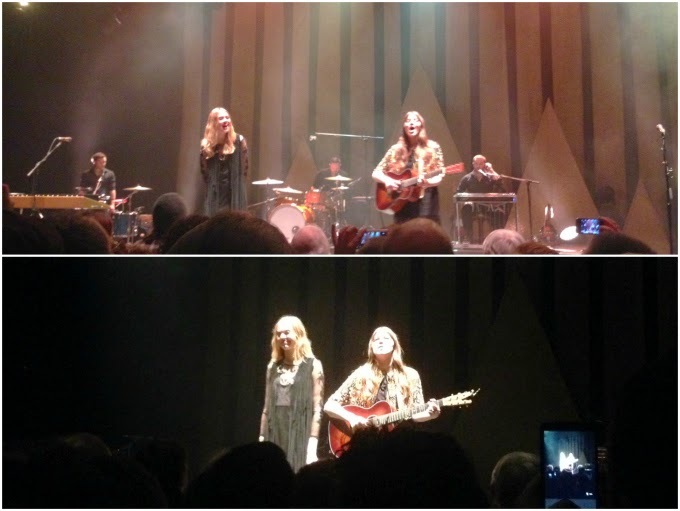 This week I went to see First Aid Kit which was beautiful. My friend Lily and I got there early, so we were pretty close to the front. Despite my shins killing me for the next three days because of standing up for so long, it was worth it. There are lots of very exciting things going on behind the scenes at Lexi Likes, so stay tuned. Ugh, you just reminded me that it's been a while since I've listened to some Blondie. I went through a terrible face where I was so obsessed with them I couldn't listen to a Blondie song for a month. Those boots are adorable. 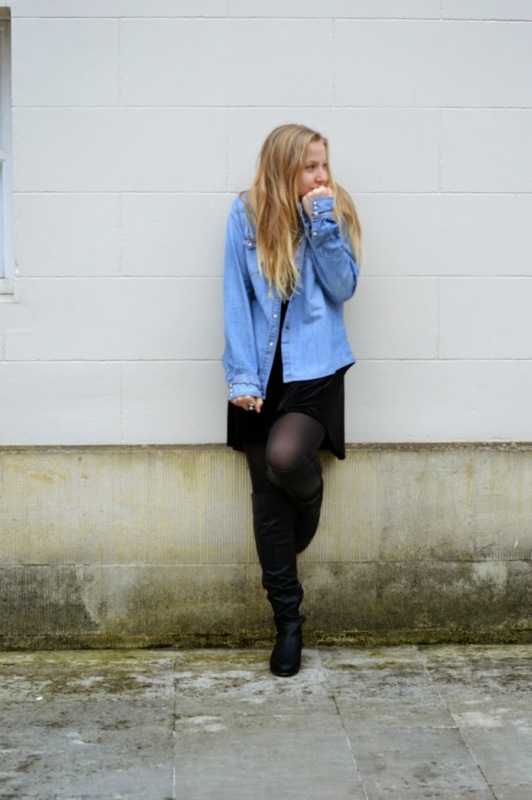 Yet again, you have me longing for a little winter so I can start layering and wearing stockings and wearing cute denim jackets! Your blog is flawless! Love this outfit too by the way! I love detail on the back. 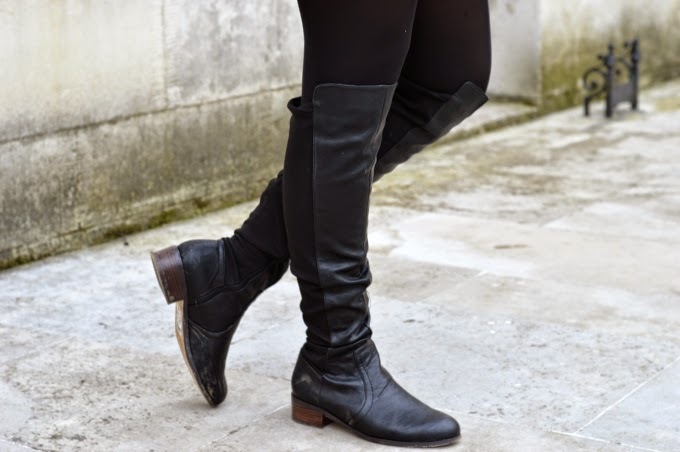 YOUR BOOOOOOOOOTS. You're so freaking cool. Love this outfit. 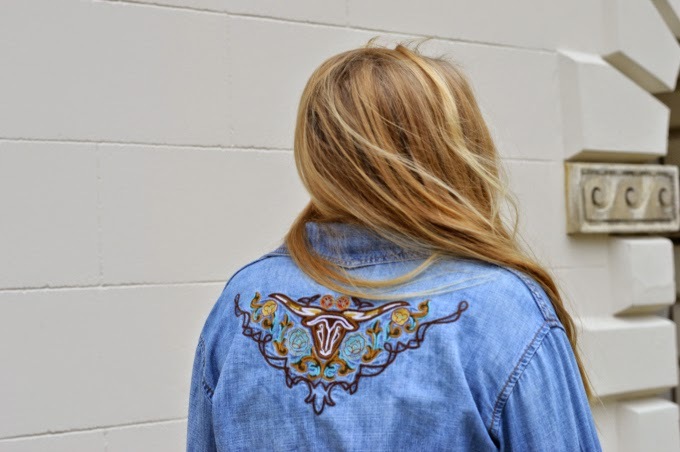 The embroidery on the denim shirt is awesome! Also, so jealous you saw First Aid Kit!